Then, it happened! I did it! It was my fault! I wasn’t paying attention (too busy congratulating myself, I think) to where I was and I made a wrong right turn. About two blocks down that road, I realized where I was and at the first opportunity made a U-turn. I’ve been in Recovery a bit more than 8 years. This path I’m on is MUCH smoother now than before. 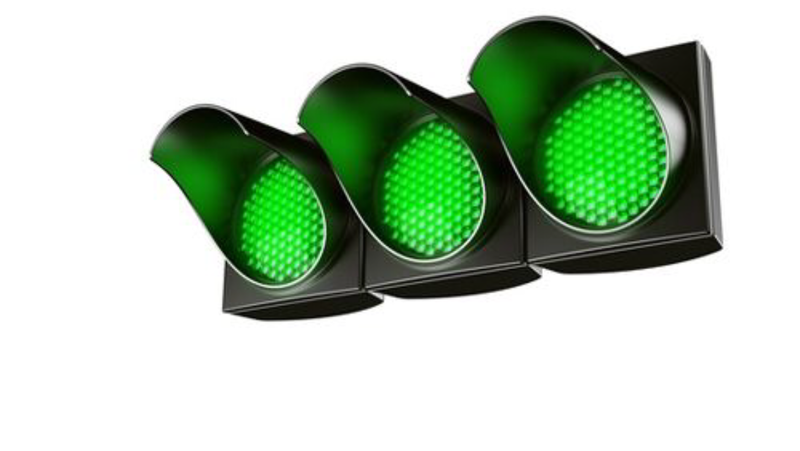 There are days I hit “Green light after Green light after Green light.” It’s real tempting on those days to not pay close enough attention to where I’m going. Some days, before I know it, I’ve made a wrong turn. Over the years, I’ve learned a lot about the consequences that await me at the end of that side track. I’m now much quicker to realize I’m headed the wrong way and I make that U-turn at the first chance I get. This morning, when I realized where I was and what I’d done, all I did was say: “Oh, Ratz!” I didn’t reach into my “backpack” and grab my favorite tool to beat myself up. (like I used to) In the past, I would become so wrapped up in condemning myself for my mistake, I could be MILES down the road, and it would be a LONG way back. Sometimes, I’d get lost down that side track and wonder if I’d EVER make it back. My WW and I love taking Road Trips. When I’m driving, she usually pays pretty close attention to what’s going on around us. I’ve told her “If U see something U think I need to be aware of, feel free to speak up.” It’s always better for her to speak and tell me something I already know than to keep silent and then we’re both sorry later. I needed her in the car with me this morning. I need somebody walking with me as I travel this road of life. I need someone who can speak up when it’s needed. Do you have someone in your life with the freedom to speak up when it’s needed? It’s a lot more important than U might realize. But he who heeds counsel is wise. This entry was posted in CO-DEPENDENCY, EGO, GRACE, GRATITUDE, LOVE, Trust, Understanding on November 14, 2016 by jimdcat. Lately, I’ve been pondering the effects of GRACE in my life. 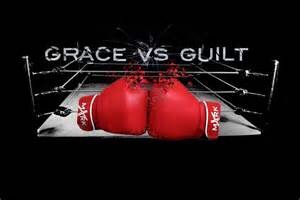 I’m beginning to realize that I have greatly undervalued what GRACE DID, what GRACE does, what God wants GRACE to do in, for and through me. This morning, I’m saddened to think how many times I’ve prayed that from a place of guilt and shame, standing (or kneeling, as the case may be) before God but seeing him as my Judge. It makes me want to run away. Sometimes I do. “Dad, I came back yesterday because I knew you are a man of compassion. All my life I’ve seen how you treat your servants. You’ve always treated the men and women who work for you better than most of my friends were treated by their fathers. Last month, I remembered that about you. Someday, maybe I’ll tell you where I was and what I was doing when I remembered, but I think I’d rather just forget about it. But let me simply say that I woke up in the blackest, darkest hole of my life. NEVER in my wildest thoughts did I think I would come back and be your son!! I fully expected to grovel. I fully expected to spend the rest of my days trying to pay penance for the way I hurt you. But you… You!!! Dad, You put the family robe around my shoulders. You embraced me!! You put your ring on my finger. You brought out the finest wine, and Oh! Wow!! This steak…!!! BECAUSE OF MY GRACE, THE DOOR IS WIDE OPEN FOR YOU, MY SON! COME HOME!! But What about my sin? This entry was posted in BROKEN, COME AS YOU ARE, DWELL, FAITHFULNESS, FORGIVENESS, GRACE, GRATITUDE, LOVE, PAID IN FULL, Unconditional on July 25, 2016 by jimdcat. How Good Do I HAVE To…? If U think God’s Love depends upon Ur goodness, then Ur acceptance of His Love for U will be limited by how good U can be. That’s OK on the days U’re good! We don’t HAVE to be good for Him to Love us?? This entry was posted in 7 THINGS, COME AS YOU ARE, FORGIVENESS, GRACE, LOVE on June 12, 2016 by jimdcat. My sister Millye, my WW Nelda and I are driving to Carmichael this morning to spend the day with my brother Cliff, along with my other sisters, Naomi and Betty. Doyle, we will miss U! Cliff’s wife Susan recently “won” her battle with ALS. I must say it that way, because the disease did not!!! defeat her. Yes, it stole her body, but EVERYTHING ELSE that Susan was remained intact. Nelda and I agree, (as we do with most things) – Susan was the most amazing woman we know. Her journey through ALS served to expose and strengthen her core of deep faith, humor and loving care for others. As an expression of her concern for others, she started a blog called “SusansSteps”. We who followed her blog have been blessed, challenged, saddened, amused, loved, enriched and encouraged. It is totally appropriate, and so much “Just like Susan” that in this last post, she declares that this is her GRADUATION. SUSAN, You did it with the highest honors!!! P.S. To read her blog from the beginning, start HERE. This entry was posted in GRACE, GRATITUDE, LOVE, OTHERs, PEACE, PROCESS, SERENITY and tagged ALS, Ice Bucket Challenge, Lou Gehrig Disease on February 15, 2016 by jimdcat. Yesterday at New Life Church, Pastor Gary shared he “is not one to make New Year Resolutions.” I totally identified with him. Pastor Ben had already made the same statement, so I feel I’m in good company. Gary then went on the say he likes the idea of living with a yearly THEME rather than a list of resolutions. I’ve had several words that could describe my journey over the past few (7) years of recovery. Each one seemed to build upon the last. Can I call them THEMES? • I think the first was “LOVE!” As in when God said: “Jim, I want to begin to teach U just how much I LOVE U! I’ve spent much my life trying to get Him to Love me more. He showed me that He doesn’t do “much” or “more“. S’prise, S’prise, S’prise! He already does!! LOVE! (me) as much as He ever will – and always has. • The next theme was “TRUST“. Love and Trust have become two sides of the same coin in my life. I can’t have one without the other. in ALL my relationships. The more I discovered God’s Love for me, the more I came to Trust Him. The more I Trust Him, the more I Love Him. U see, “MORE” “TRUST” is on my side of the fence. It’s already all been done from His side. His greatest purpose in my life is to teach me how to grow in that. • HONESTY. Alcoholics Anonymous uses the term “Rigorous Honesty“. One of the reasons I ended up in Celebrate Recovery 7 years ago was because of the masks I had learned to wear. I had gotten lost behind the secrets. Guess What!!! SECRETS make us lie!! The biggest lies are the ones we tell ourselves. A young lady once shared with me: “He can’t tell me the truth, because he doesn’t know the truth himself.” It’s been a difficult journey to move out from behind the masks into honesty, from that place of hiding. It still calls to me. It seems like a place of safety, but it quickly becomes a dark, lonely place. • I could show U the very spot I was standing when a man called me “SIR JAMES“. U can read about him here and here. One of the best things that ever happened to me in recovery is when I found out who SIR JAMES is. I’d LOVE to be able to say “he was“, but I will never be completely free from him. (pssst – we all have a “Sir James” that lives in us!) I can say however, he is nowhere near as dominant as he used to be. • THEMES… LOVE, TRUST, Be STILL, HONESTY, SIR JAMES…, I could go on. But I said all that to say this; as Gary was sharing yesterday, this word came to my mind… “DEEPER“. On the way to church yesterday morning, my daughter shared her word of the year with us: “BLOOM“. Then my youngest grandson shared his: “FAITH.” He then changed it to “EMMANUEL” (either one is fine with his PaPa) His mother asked him if he knew what that meant, and he said “God With Us“!! But I digress… What does “DEEPER” mean for me this year? I’m sure I don’t have much of a clue as yet. But if U read my last post, U might understand my trepidation as I contemplate what it might mean and where it might take me. I have to remember the theme of “STILL” and how I didn’t see it’s progress at first. Can I TRUST that SomeOne knows more about it than I do? Time will tell…. Stay tuned, it should be interesting! and scary!! MY favorite word, perhaps the underlying theme of this journey is PROCESS. I’m glad He’s teaching (taught) me that HE knows so much more about the process than I do. After all, He’s God! I’m not! This entry was posted in ALCOHOLIC ANONYMOUS, CELEBRATE RECOVERY, DWELL, GRACE, LOVE, PROCESS, RIGOROUS HONESTY, Trust on January 4, 2016 by jimdcat. It was an amazing day when I discovered I could trust God beyond my capacity to understand Him. Faith says: “I can have a relationship with Him that is Beyond my Understanding.” That allows me trust Him more. I had NO IDEA what I was praying for. My life turned upside down and inside out in ways I did not know was possible. The thing is, today I better understand the “danger” of that prayer – kinda like praying for patience, there might be only one way to learn it! This entry was posted in BROKEN, COME AS YOU ARE, DWELL, GRACE, GRATITUDE, LOVE, Trust on November 9, 2015 by jimdcat. My wife’n I just celebrated our 49th anniversary. 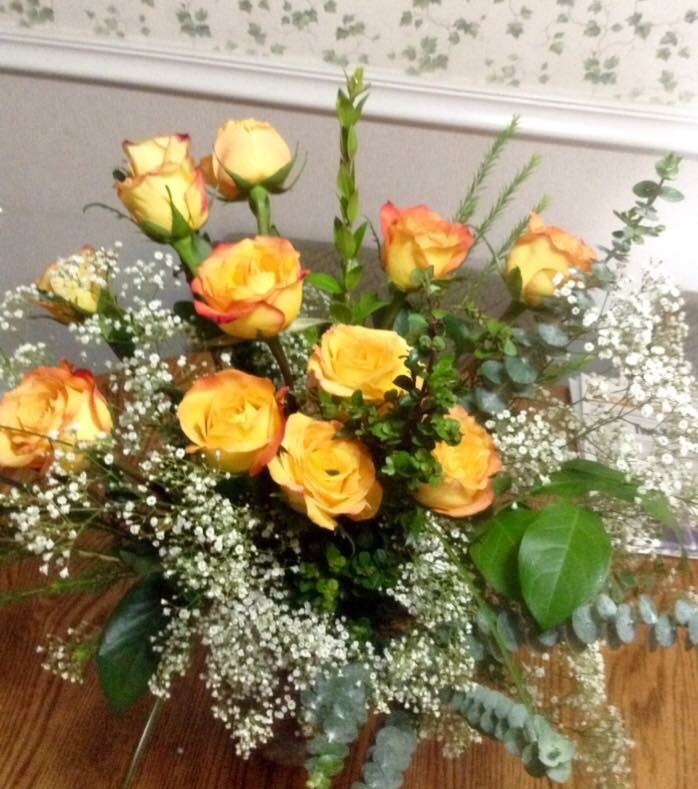 I brought her these flowers and a card. Silly, romantic fool that I am, I spent an extra $3 for another Rose ’cause ’13’ has ALWAYS been our special number!! Part of the reason it was quieter this year is because I spent the day with my Teen Challenge boys at New Life Church. As I spoke the words, I realized how crushed I would feel to get that response from her. I was reminded of this post. How many times in my past have I wanted to come before the LORD, but because of my past, because of my sin, because of my failure, because I felt unworthy, because I thought I needed forgiveness FIRST, I turned away? If I, as a husband would be crushed to have my offer of Love rejected, do we not grieve the heart of God by rejecting His Love? This entry was posted in BROKEN, COME AS YOU ARE, DWELL, FORGIVENESS, GRACE, LOVE, Unconditional on October 29, 2015 by jimdcat.